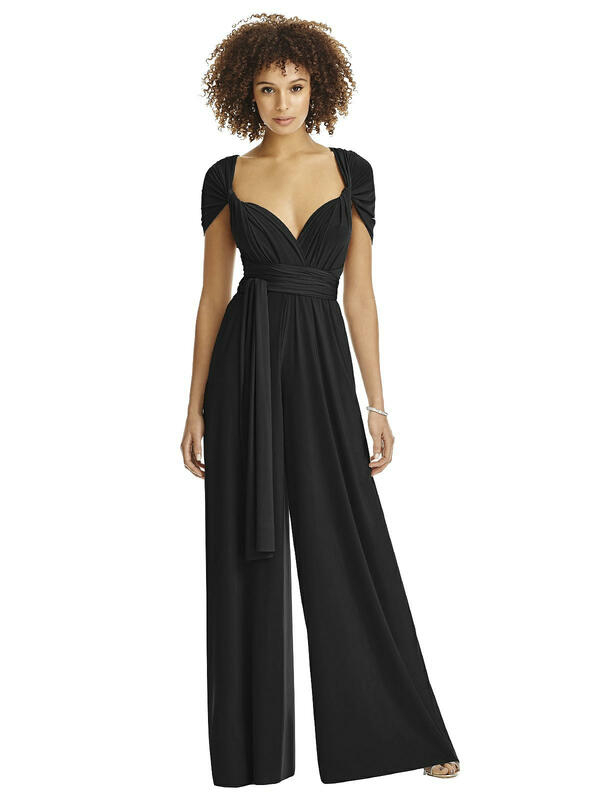 A modern, fresh, and chic convertible wrap design gives this bridesmaid jumpsuit an amazing and unique versatility for each bridesmaid. The Maracaine jersey fabric skims the body and flows gracefully down the aisle. Fit Tip: The natural waist and bust measurement take priority for style MJ-JPTWIST. If you are over by an inch or two on the hip, you should have enough room to release the side seams/alter the skirt to allow for that variance. If you would like help choosing your size, please contact a Dessy stylist.